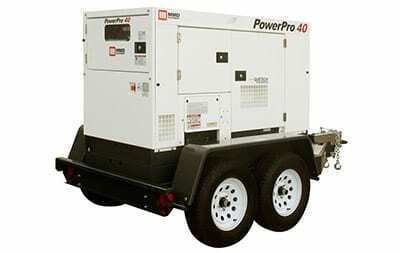 MMD Equipment’s PowerPro™ mobile generators are engineered to handle the most rugged environments. 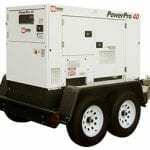 PowerPro™ generators aredependable and easy to operate making it theright choice for all of your power needs. PowerPro™ Generators have a low 0.5% voltageregulation rating that safely powers the most sensitive electronic equipment. The sound attenuated enclosure is designed with special vibration-absorbent material to cancel acoustic vibrations. All doors and moveable fixtures are engineered to minimize vibration. Easily extend run time by connecting an external fuel tank through our standard external fuel value.